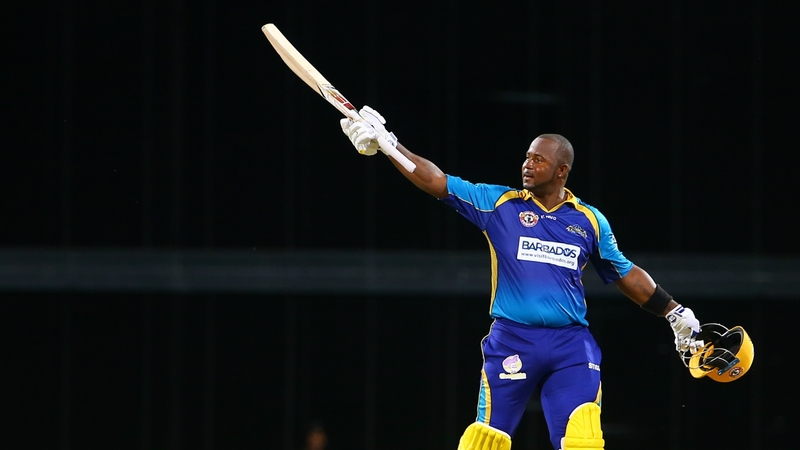 A second century of the season for Dwayne Smith set up a crucial 29-run victory for the Barbados Tridents against St Lucia Stars in Match 27 of the 2017 Hero Caribbean Premier League (CPL). The victory keeps the Tridents in the hunt for a finals week spot and ensures the Stars end their season without a win. After winning the toss the Tridents promoted Nicholas Pooran to open the batting for only the third time in his T20 career and he justified their decision in an explosive 20-ball 36. While Dwayne Smith struggled for fluency early on Pooran’s power and timing was on full display as he struck two sixes and four fours. 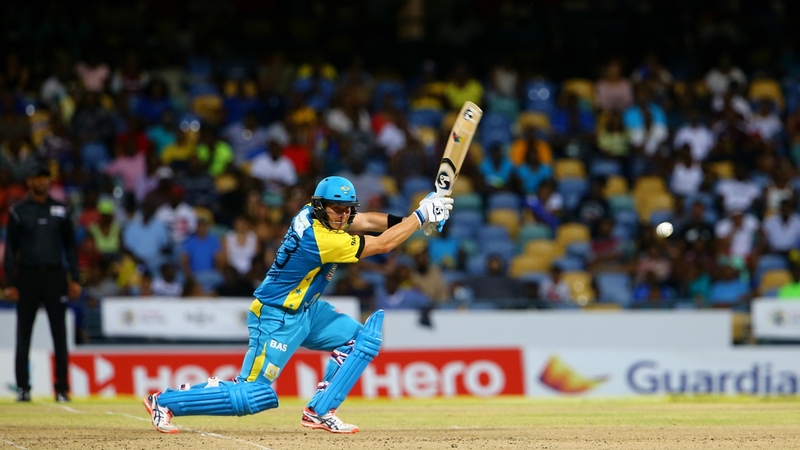 When he was dismissed with two balls remaining in the Powerplay - duped by a well disguised slower ball from Obed McCoy - he had scored more than 80 per cent of the Tridents runs. In the six overs after the Powerplay the Tridents begun to lose their way. 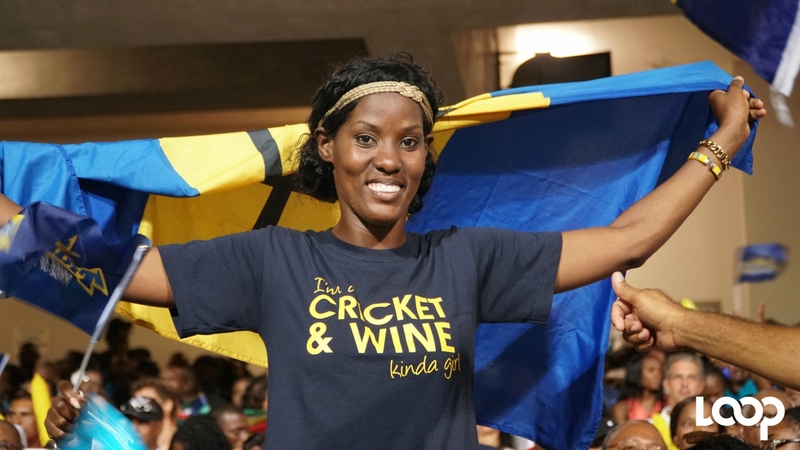 First Kane Williamson was brilliantly stumped by Andre Fletcher down the leg side off the bowling of Rahkeem Cornwall and then Kieron Pollard mis-timed a rank short ball from Cornwall in the twelfth over to leave the Tridents 83 for 3 after 11.3 overs. Having struggled for timing in the Powerplay, Smith then begun to find his range, striking his first six in the 12th over and another a few balls later before taking 22 off a Shane Watson over to really get the innings moving. Smith lost his partner, Eoin Morgan, but continued unabated scoring boundaries on both sides of the ground, pulling well off the back foot and driving with typical aplomb off the front foot. The Stars have struggled to restrict run-scoring in the death overs this season and their weakness was once again exposed as Smith punished some wayward lines. 28 runs came from the 18th and 19th over before a 42-minute stoppage due to a floodlight failure delayed the bowling of the last over. When they eventually returned Watson struggled to bowl the right length and Christopher Barnwell and Smith took 22 from the over, with Smith reaching his century with consecutive sixes. 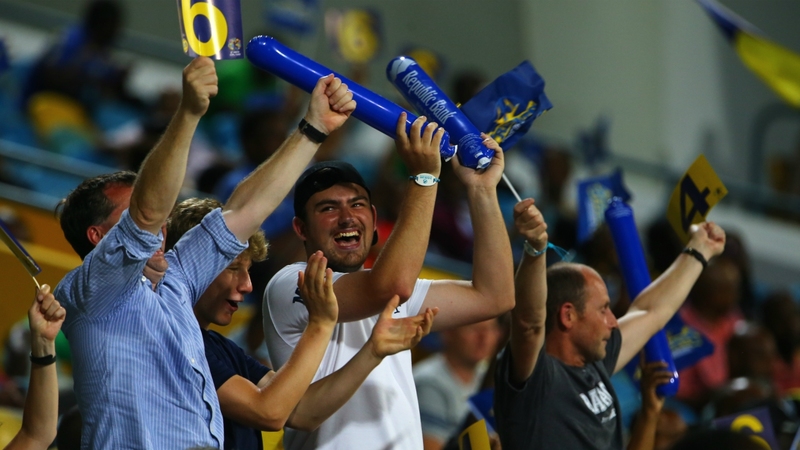 Watson finished with figures of 0 for 55 from just three overs and the Tridents with 195 for 5 - the equal highest total at Kensington Oval. 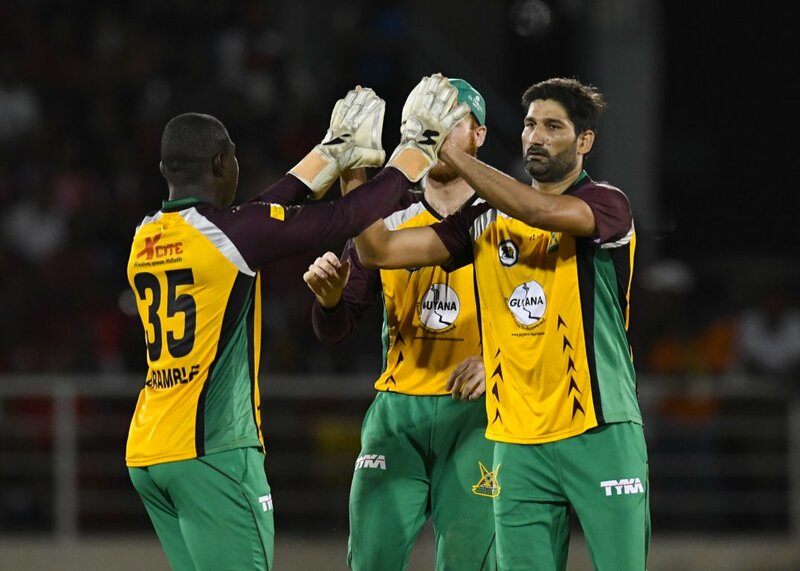 The Stars innings started in frenetic fashion when Andre Fletcher hit a six and a four in the opening over before mis-timing a short ball from Ravi Rampaul to Eoin Morgan in the deep. Watson briefly threatened to get going, scoring 22 before pulling a Wahab Riaz short ball to mid-wicket. Three Cornwall boundaries helped the Stars to 54 for 2 after six overs. 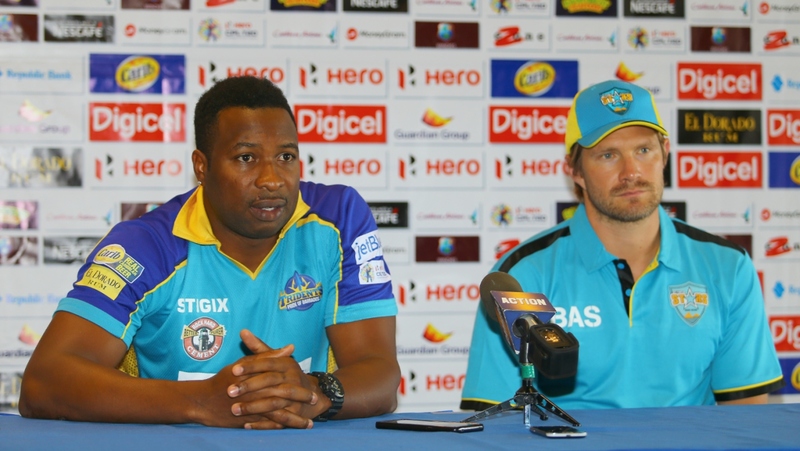 St Lucia Stars captain Shane Watson. The relaxing of the field restrictions did nothing to slow Cornwall who cleared the ropes three times in the two overs after the Powerplay and moved to his fifty in the 11th over, off just 26 balls. Johnson Charles struggled for fluency and timing and scored just 13 off 20. Cornwall was having no such troubles however and continued to find the boundary regularly enough to keep the run rate in check. He should have been dismissed in only the 9th over when he picked out Barnwell at long off who dropped the catch. With five overs remaining and 59 required Cornwall begun to show signs of tiring complicating the Stars strategy. Running between the wickets ceased to be an option and after the equation had been reduced to 48 off 16 balls Cornwall decided to retire, allowing Darren Sammy to come in. Two balls later Marlon Samuels picked out Pollard on the boundary. In the face of a spiraling run rate and some tight death bowling the Stars were unable to stay with the Tridents and eventually fell short by 29 runs.